This wine showcases a combination of fruit from the Pisoni, Garys’ and Soberanes vineyards, where yields were generally 50% lower than normal. 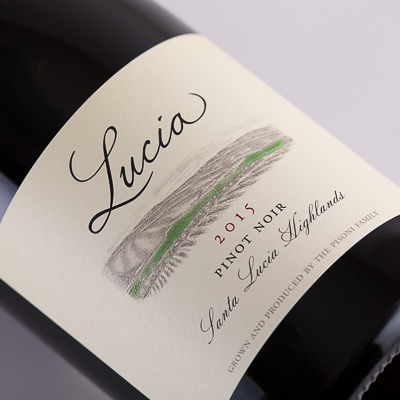 Despite its youthfulness, the Lucia Pinot Noir already shows signs of finesse. The fruit offers a gorgeous balance of acid and sugar levels, the result of cooling ocean breezes and foggy mornings in the vineyards. Once poured, the wine releases elegant aromas of raspberry, violets and crushed rose petal that linger in the glass. These floral notes also persevere in the mouth, producing a rich, elongated finish. Suave, layered tannins deliver great texture and length. The first shipment of the Lucia release will be Monday, March 25, 2019. 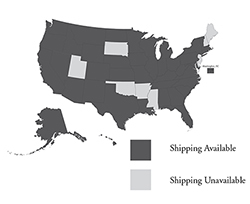 For special shipping requests, please contact Pisoni Vineyards. Weather conditions may alter planned shipping.